NVIDIA today announced the first GPU-acceleration of Adobe Illustrator CC — enabling graphic artists to seamlessly interact with vector art at any resolution, and to smoothly pan and zoom significantly faster than previously possible. With this new feature powered by NVIDIA GPUs, Illustrator CC can now accelerate the entire canvas by up to 10-times faster(1) than previously possible on Windows 7 or 8-based systems with compatible GPUs. This new Illustrator CC performance boost is based on an optimized NVIDIA technology called NV Path Rendering that is implemented as an extension to OpenGL, an open standard for graphics performance. 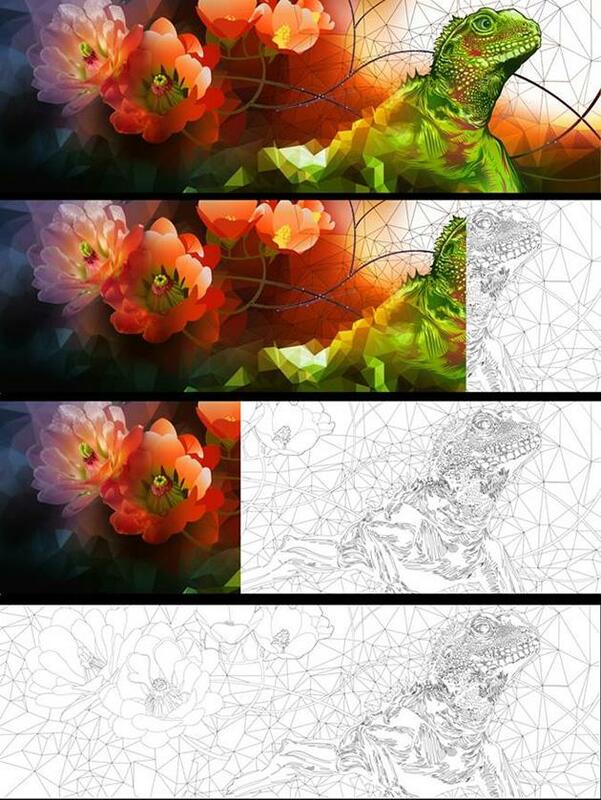 Adobe and NVIDIA collaborated closely to weave this technology into Illustrator CC. Path rendering specifies a design as a sequence of resolution-independent outlines known as paths that can be filled or stroked. Unlike bitmap images, path rendered content can be arbitrarily zoomed and re-scaled without pixelated results. In the past, most path rendering has been performed by the CPU; however, in the same way nearly all 3D rendering is now performed by the GPU, applications based on path rendering are also beginning to migrate to the faster and more efficient GPU. Learn more about NV Path Rendering here. NVIDIA GPU debayering for real-time RED camera media 4K playback. Before this new speed breakthrough, editors needing that kind of performance required an additional dedicated RED ROCKET card. Integration of the Master Clip Effects function with the Mercury Playback Engine, enabling GPU-accelerated effects to be applied to multiple sub-clips, speeding up the entire editing timeline management process. Feathered Masking to soften mask edges quickly and intuitively. Performance optimizations for the Mac providing up to 30% faster performance when upgraded with the NVIDIA CUDA driver(2). New Focus Mask feature for GPU-optimized automatic selection of the in-focus area of photos. Faster upsampling for high-quality image resolution improvements, now enabled for multiple GPUs. More GPU-accelerated Blur Gallery Motion Effects like Path Blur and Spin Blur. Tight integration of Adobe Media Encoder CC with the Mercury Playback Engine for GPU-enabled rendering, automated image processing, and background project rendering. Integration of new Mercury Playback Engine GPU improvements in Adobe Anywhere, powered by NVIDIA Tesla-based platforms. For more information on NVIDIA GPU acceleration of Adobe Creative Cloud applications, please visit http://www.nvidia.com/adobe. For pricing, please visit http://www.sharbor.com/vendors/PNY.html.